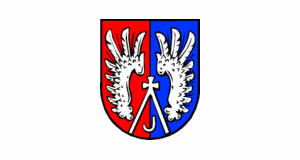 Lamprechtshausen is a village with approximately 3,500 residents in the northern-most corner of the Flachgau area. It is considered to be part of the Salzburger Seenland (Salzburg Lake District). Lamprechtshausen is connected to Salzburg via a railway, which comes in handy for the commuters from there. However, Lamprechtshausen is characterised by agriculture and local service industries; commuting to Salzburg is less common here than in the big villages immediately north of Salzburg. Local companies often concentrate on metal as well as on machineries, car supplies and construction. The relative vicinity to Braunau am Inn with its strong tradition in metal industries is reflected in this. In terms of sightseeing, you shouldn′t expect too much from Lamprechtshausen, a quintessentially rural community. Note the church of pilgrimage Maria Mösl. There is a well dedicated to the Christmas carol Silent Night, which was written and composed in nearby Oberndorf. Instead of an ordinary town museum, Lamprechtshausen has a "Franz Xaver Gruber Museum", as Franz Xaver Gruber was a teacher at Lamprechtshausen for 21 years - he was the composer of the World′s most famous Christmas Carol. His flat in the old school in the Arnsdorf part of Lamprechtshausen was restored into its 19th century state. Visitors can marvel at the items that illustrate a rather modest lifestyle. Note that the Silent Night Chapel and the centre of the local Silent Night cult can be found near the original site of the first "production" of the carol, in Oberndorf.